A few months ago I featured a hot deal on the Nikon D750 DSLR camera being sold by a reputable ebay seller. 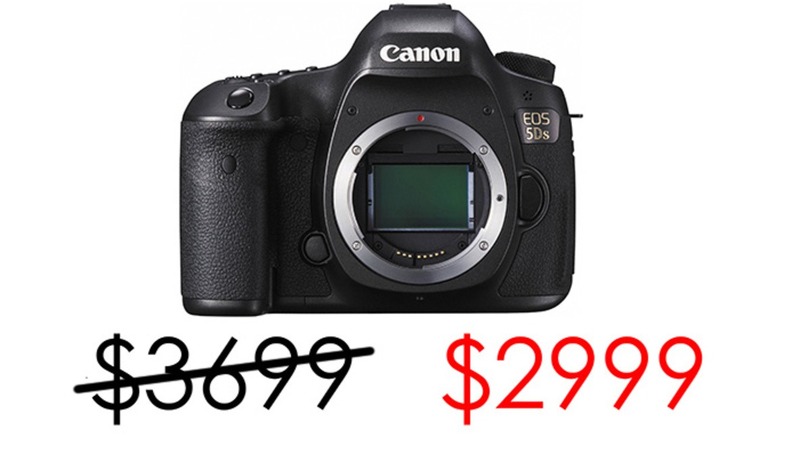 Today Canon users can get in on a similar deal. 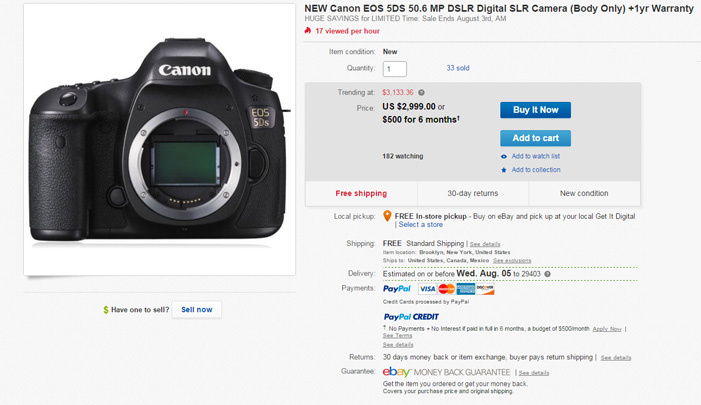 Right now you can save $700 on a brand new flagship Canon 5Ds on Ebay. 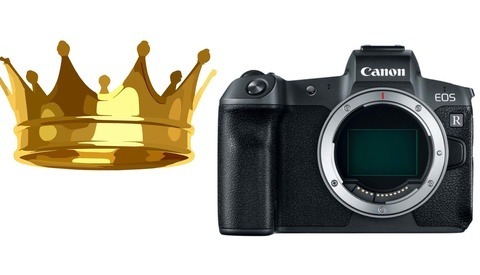 The seller is the same one offering the D750, and we have received a ton of thank you emails from readers who took advantage of that deal (we bought 5 ourselves). You can read more about this deal below. The Canon EOS 5Ds is currently the highest megapixel DSLR camera out on the market. Canon users can finally capture super high resolution image quality similar to the recently dethroned Nikon D810 camera. Some of you are probably thinking "if this deal is too good to be true, there must be a catch, right?" The catch is that while this camera is a 100% genuine Canon 5Ds, it is being sold as a gray market camera. What does it mean to be gray market? Basically this camera was more than likely stocked in Japan and now being sold anywhere in the world. That means it's exactly the same camera, the same quality, and coming from the same production line. However, in many cases, these cameras do not hold their own limited US Canon warranty. These limited warranties protect you from anything defective from the manufacturer but that is about it; they do not cover any sort of accidental abuse or neglect you have caused by actually using the camera. In my experience, most cameras that need maintenance are almost always because of something the owner has done to the camera themselves and therefore not covered under the limited warranty. In those cases repairs are still typically around $200 - $600 out of pocket depending on the problem. The question comes down to whether or not the limited warranty is actually worth $700 to you. I personally have only had 1 single shutter blow out on a camera, and in total I have owned about 20 - 25 cameras in my 9 year career (I shoot Nikon so I can only vouch for their incredible craftsmanship, but Canon should be equally stout). Keep in mind, you will get a 1 year warranty from the seller that does cover any defects or issues with production should anything go wrong with your camera. For a camera that currently retails for $3699.99, this is an incredible deal especially if you are looking to upgrade one of your older cameras. If you want to read reviews from Fstoppers readers who purchased the D750 deal from this same seller, you can read them here from the post 4 months ago and a few more here from the post last week. You're not only forfeiting the manufacturer's warranty with your $700 off. You're gambling on whether or not the unit that arrives even works, hasn't been opened before, hasn't been used as a floor model, or isn't refurbished. These pop-up stores come and go, changes names, and offer questionable deals like this because they aren't authorized to sell any products from these major brands in the first place. And frankly, a "sale" as your headline states? This is an eBay listing you're talking about, not an official discount offered by the manufacturer, or a real reputable seller like B&H. The reason I believe them to be reputable and risk the reputation of Fstoppers is because we have bought 5 of these cameras with flying colors and have about 100 other photographers who have taken up on the deal as well. The companies that offer sketchy deals almost never deliver any product, they send cameras without chargers and cables, they try to upsell you, when they do honor the sale they tell you they are sold out, etc etc. That is not what has happened with this company (which I think changed management years ago after the bad reputation they might have had back in 2010). This company has a killer ebay rating and has delivered over 105 cameras to people who I personally know or who have real accounts on here. Also Ebay is known for better or worse for siding on the side of the buyer if anything does go wrong (one reason I won't sell expensive gear on ebay any more). Your credit card might have further protection against fraud if that is something that keeps you up at night. I know it's easy to be skeptical, I was too initially, but when you think of what they are doing it makes sense. They are simply separating kit boxes and selling the discounted lenses for retail price while discounting the cameras. As for the cameras being floor models or refurbs, I buy a ton a computers refurbed for the Fstoppers office and I know what a used or refurbed product looks like. I can attest first hand that these are not used or refurbed in any way (at least the 5 I bought personally). The cameras did not have their time stamp entered, plastic was on all the LCDs, no scratches, cameras weren't part of Nikon's service advisory (1st or 2nd notices with the D750) and the shutter counts were all below 50. In the end there is a risk to buying gray market cameras but reputable dealers like our good friends at BH Photo also sell gray market cameras directly on their site too. I personally think electronic warranties are the biggest hack in consumer electronics and if that means I can save $700 to get a premium flagship camera while forfeiting that warranty, that's a deal to me. I understand not everyone will feel that way and that's totally cool and understandable. I just have to stand behind a deal that I think is 100% worth taking advantage of. bought my last two from them on eBay and plan on getting my next two from them as well.... they ship quick and the price leave me with $ for glass...or food. Sometimes it's funny for me to see you guys are amazed on these deals in eBay which I still find a bit expensive. It always makes me say "Lol, and they are already happy with that?...". I didn't check the 5Ds/r yet, but I'm sure it's better than $2999. My discounts be so dank, I get to tell the world how badass they're not. Interesting to hear. I've heard from so many foreigners that they will travel to the U.S. Just to get a lower price on gear. Recently, I purchased a lot of Nikon gear. I got the D810 for 8,000 AED (roughly 2,100 USD) which I think is a bargain. 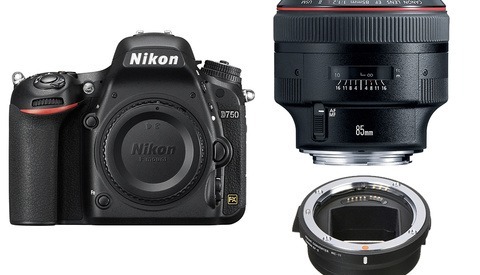 The 24-70 for 4,300 AED (around 1,170 USD) and 70-200 at 6,300 AED (1,700 USD). Yeah I don't know about the UAE or middle east but I know the prices were exactly the same in Singapore and I know people who book flights from London and the EU to NYC just to buy camera gear (and christmas shop) because even with the cost of the intercontinental flight, it is still cheaper to buy from the US with Euro money. I am not saying that the deals offered in USA are bad though. I have a friend who lives in there that actually didn't knew that there were other ways to get a good bargain (like from my home country). I also work in a publication here, and most of my co-photographers from UK, Australia, and US didn't knew that there's a bazaar of good deals here in Dubai. Bottom line, there's a good gray market dealer out there. The amount of money we can save might be regional, well as long as we save a few bucks - that should be good enough. Those are some very nice prices! Even at that price, this 25 year Canon user won't pull the trigger. I have that much in my gear budget, but no interest in the camera. As far as eBay deals, I did get a 7D new in box, less the kit lens, for $650 shipped. I got within 30 feet of bears in Alaska, not including my brother's front yard. I'll need something more than pixels to justify my next "upgrade". Deer can tell the difference between the 6D and 7D shutters. Yeah I grew up in Alaska; it was crazy having bears at our bus stops or moose in our front yard. Looking back, I'm a bit shocked I didn't get attacked as a kid from all that wildlife. Out of curiosity, if increased image quality doesn't interest you, what features would you cause you to upgrade your camera? Now you know why I have a pair of 5D bodies, a 6D, two 7D bodies, and two 40D bodies. And 8 of my 15 lenses are L series. I'd rather buy new glass than bodies. 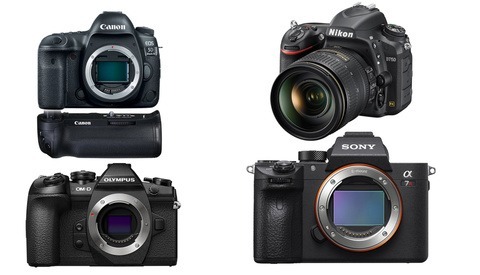 I can't help wondering if this is a clue that the price on these new high res bodies will be dropping faster than we've seen from other Canon cameras. This price deal comes very early. How likely is it we will see the same early price drop after the 5D lV is released ? The clue is how big is a markup on these products. I'll wait untill canon will pay me to buy their products ! Another canon fiasco ! This is really interesting and until my last camera body, I would have been happy to go all in for this. Here in London, the 5DS is £3k so about $4500. So with this, were talking a substantial savings - I could probably get a ticket to NYC or Miami with the difference. I wonder if the vendor is taking it in the shorts on this model and trying to off load them. I've heard the rumor from BHphoto reps that prior to the release of the 5DS, it was the #1 pre-order cancellation item after news and release of the Sony AR7II.